Annie Jaffrey: Natural Makeup Haul feat. Alima Pure! Natural Makeup Haul feat. Alima Pure! Hello beautiful! I have a new video up today featuring some awesome new goodies from Alima Pure. They were so kind to send me some of their products to try out and they are beautiful. I discovered the brand a few months ago when searching for natural cosmetics and I was really pleased with their formulations. Their Satin Matte Foundation, for instance, only contains 4 ingredients (one of which is Zinc Oxide, which can actually help with calming inflammation so it's great for acne prone skin types). It's been my go-to foundation these last few weeks and I love the feel of it. It's very light but definitely provides buildable coverage. It's the foundation I have on in the video and I think it does a pretty good job concealing the blemishes I have going on at the moment. If you have sensitive or acne-prone skin, I would definitely recommend looking into natural beauty products. Conventional makeup is unfortunately loaded with harmful ingredients (not only for our skin, but also our bodies - 60% to 70% of what we put on our skin gets absorbed into our blood stream), and there are lots of great alternatives out there for everything from foundation to lipsticks to mascaras to blushes. You can learn more about this from the book I mention called The Green Beauty Guide by Julie Gabriel. The colors are so pretty! Because of you I am recently really interested in natural products. You look so pretty and I love mineral cosmetics, those blushes looks so nice! This makeup is so natural and beautiful, you look gorgeous!!!! 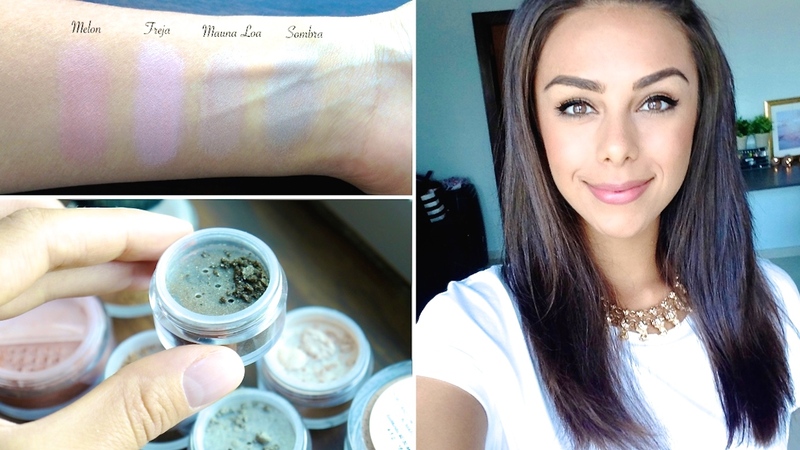 I really like to use Minerals Powders, especially as fondation!